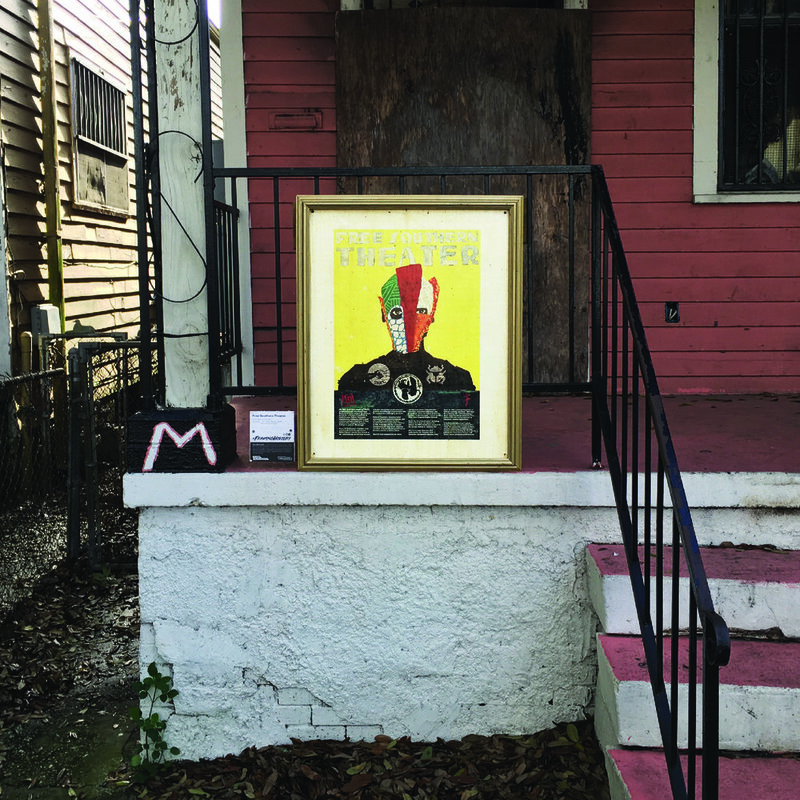 The Paper Monuments team began by mapping locations mentioned in stories surveyed disinvested neighborhoods, from Central City to Little Woods in New Orleans East, to find tax-delinquent and abandoned properties where installations could be located without disrupting the lives of residents or property owners. 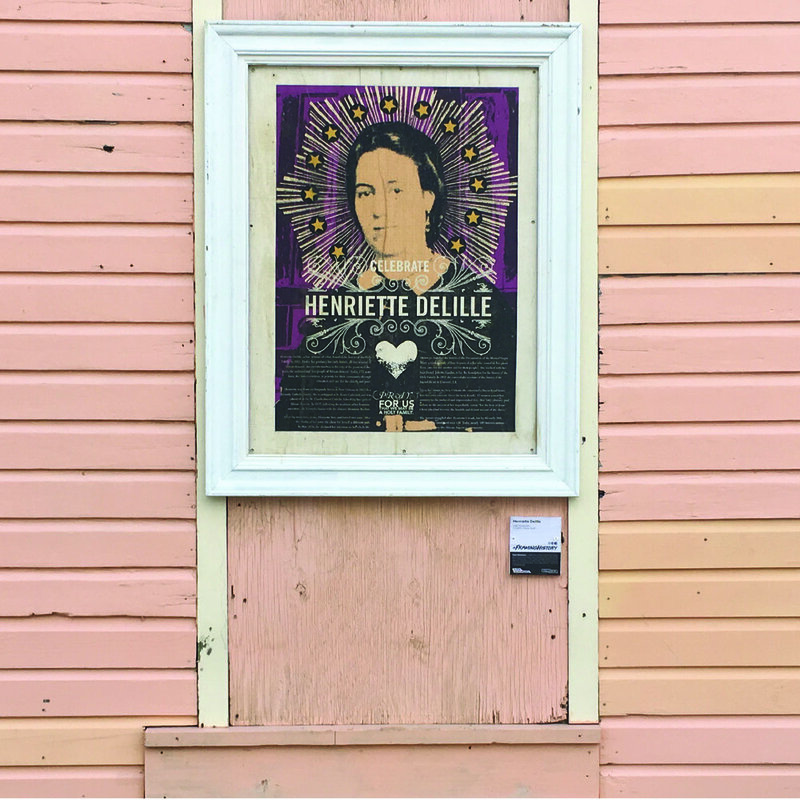 Framing Histories contribute to New Orleans’ vibrant culture of neighborhood-based public history, built and sustained by muralists like Henry Lipkis, organizers like Aesha Rasheed, and Black Masking Indians like Demond Melancon. 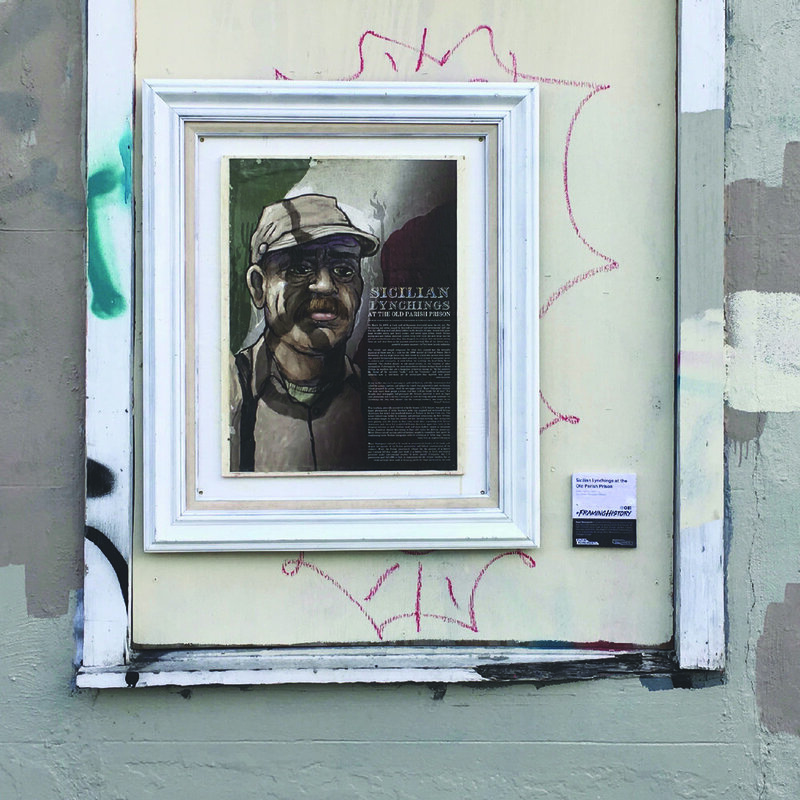 Art, in the form of murals, installations and galleries, may be a tool of gentrification and displacement, particularly in resource-deprived communities of color. 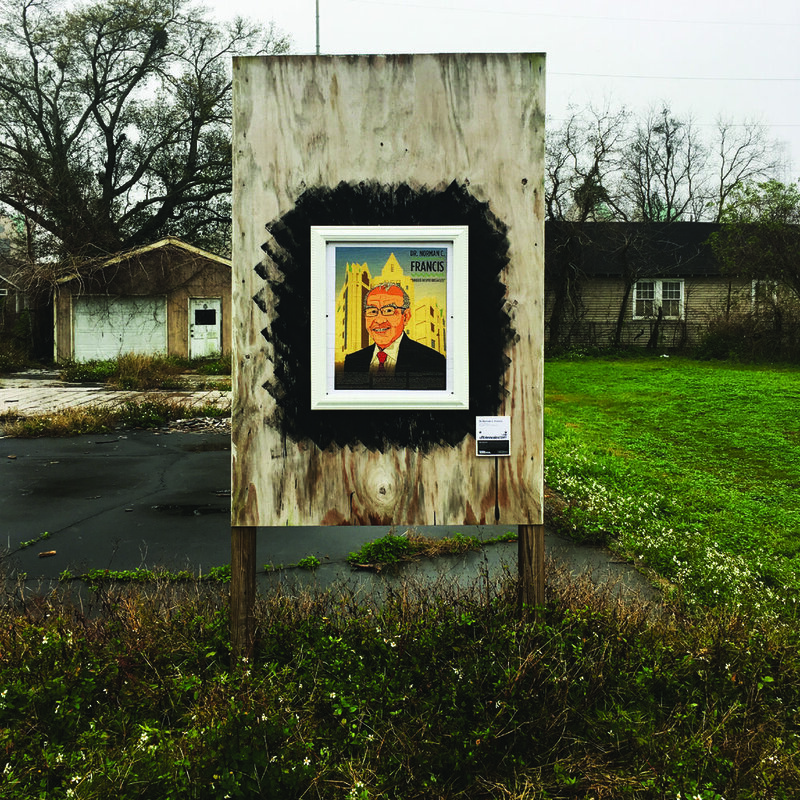 Framing Histories seeks to ‘frame’ reinvestment through the stories of these neighborhoods, their people and their spatial practices, rather than displacing and replacing them. 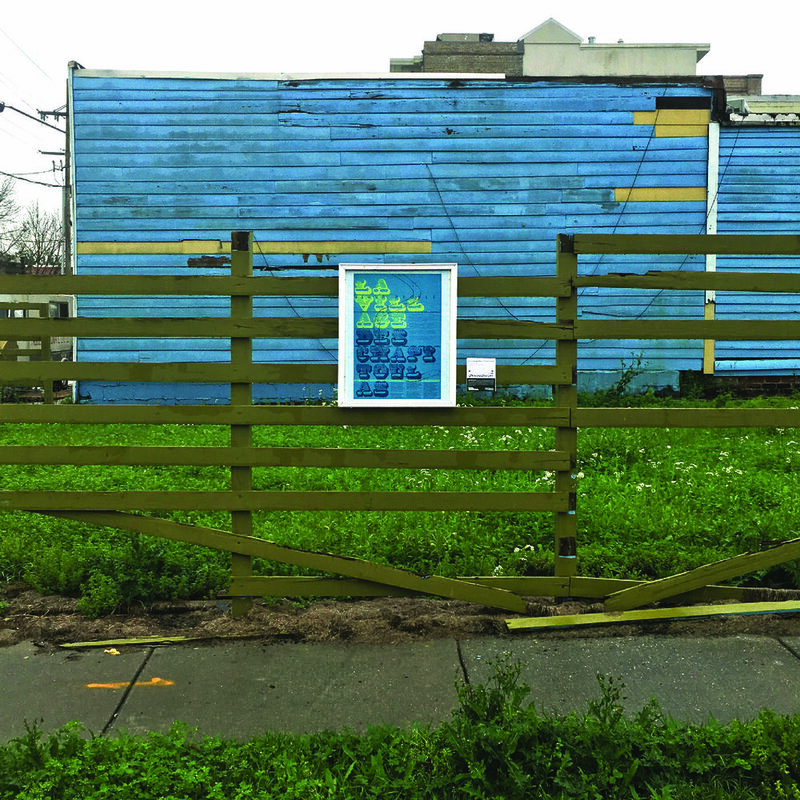 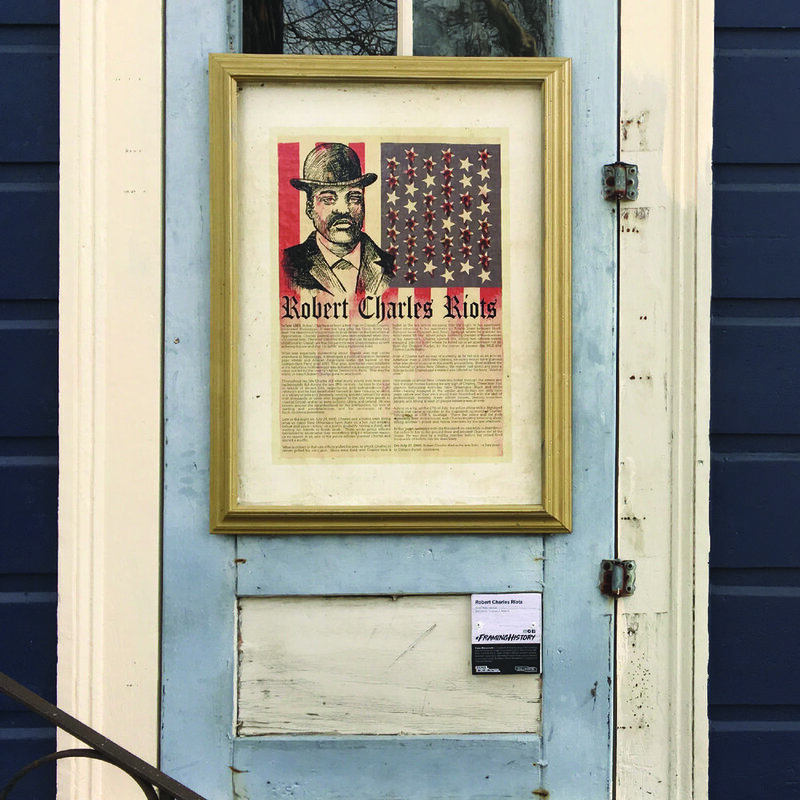 Framing Histories are ephemeral pieces, which will be displayed in neighborhoods for approximately two months before removal and reinstallation at the reactivated New Orleans African American Museum in the Treme. 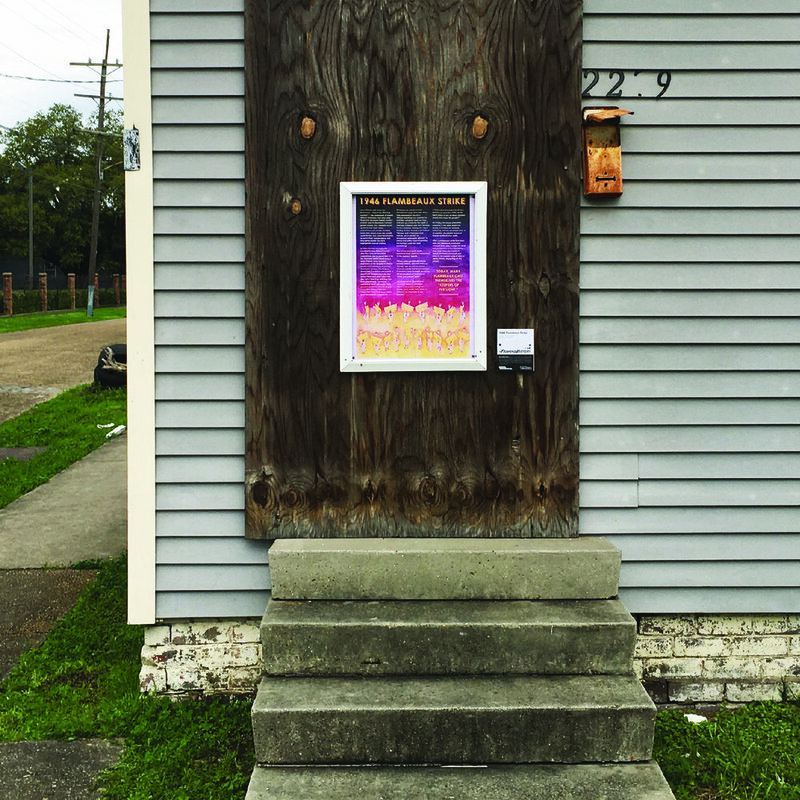 Click on the images below to see the location, and click the link in the caption to read each poster online!